Lisa Mathews of the Grammy-nominated kid rock band Milkshake talks about love and social consciousness in this musically diverse hour. With a song list that includes Sly and the Family Stone, Billie Holiday, the Civil Wars, Adele, Lucienne Boyer and a sprinkling of Milkshake tunes from the band’s CD, Got a Minute?, the show is sure to reward big ears and inspire discussion. Win a family 4-pack of free tickets & museum passes to see Grammy-nominate Milkshake in concert at MASS MoCA in North Adams, MA, on Saturday, November 23rd at 11:30am. Deadline to enter to win: Tuesday, November 19th, 2013 at 11:59pm (EST). Milkshake began in 2002 as a musical experiment on the part of vocalist Lisa Mathews and guitarist Mikel Gehl , longtime bandmates from Baltimore’s indie rock group Love Riot, who vowed to “grow” their music right along with their own young children. Since then, Milkshake and the band’s legion of fans have been living an exciting, real life, growing up adventure, moving from early childhood through the early elementary years, as the group toured the country and produced several multi-award-winning CDs, a DVD, and a multitude of music videos seen all over the kid-friendly networks. Along the way, as the kids grew and the music grew with them, Milkshake grew from a duo to a six-piece band. Lisa Mathews of the Grammy-nominated kid rock band Milkshake talks about love and social consciousness in this musically diverse hour. With a song list that includes Sly and the Family Stone, Billie Holiday, the Civil Wars, Adele, Lucienne Boyer and a sprinkling of Milkshake tunes from the band’s brand-new 33-song Got a Minute? 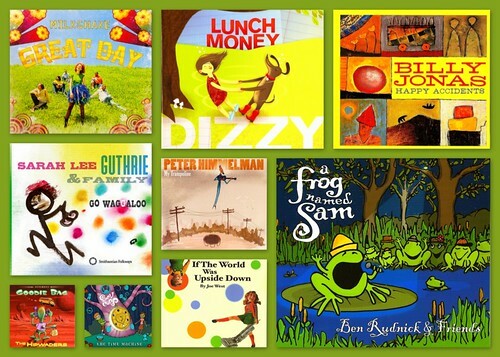 CD (featuring the long-lost 13 songs written for PBS KIDS), the show is sure to reward big ears and inspire discussion. Peruse our list of Suggested Events for February 14th-20th 2015 for a comprehensive list of events happening throughout the four counties of Western MA, including Bulletin Board Announcements & Hilltown Family Variety Show. Also check our weekly column, Learn Local. Play Local. for 41 Community Highlights: Straw Rockets to Storytelling. Candyland to Bread Baking., our monthly column, Berkshire Family Fun, for a list of premier educational and cultural highlights in Berkshire County for families, and our reader recommended list of 50 Winter Suggestions for families in western MA. Annual Winter Celebrations in Western MA: Your Cure to Cabin Fever! Trust In The Trustees. Winter Staycation is Where It’s At! This week’s archived episode is a celebration of SPRING! It finally feels like winter’s death grip has loosened here in the Hilltowns of Western MA, and the birds and buds are finally starting to appear. Featured video: “Gaia She Know” by The Hipwaders. An ode to Mother Earth. Inspired by a real-life 6 year old named Gaia and animated by Planet Sunday. This shivery month of melt, please bring your family to the upper neck of the Chesterfield Gorge and look across the Westfield River. 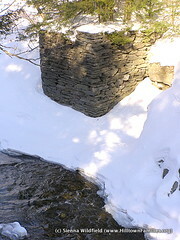 You’ll see a twenty-foot tall stone wall tower— the remains of an old colonial bridge, a massive abutment built in 1769 by meticulous stackers of dark granite schist. I remember looking at it a few years ago, marveling at the brawn and artistry of the backwoods engineers who made it. They must have believed their incredible backaches were worth it, that their bridge would stand for centuries, and they and their progeny would make a living collecting tolls where hemlocks now cluster and choke. As Hilltown Families enters its ninth year, celebrate the past eight with us by voting for Hilltown Families as Best Blog in the Valley Advocate’s Best of the Valley Readers’ Poll for 2014! Best Blog is listed under the “Information Age” category. Deadline to cast your votes is Feb 12th by 12noon. Participants must vote for a total of 10 local favorites… how about some of our sponsors Here’s the link to vote: www.valleyadvocate.com/ballot. Also check our weekly column, Learn Local. Play Local. for 27 Community Highlights: Thumb Piano to A Cappella. 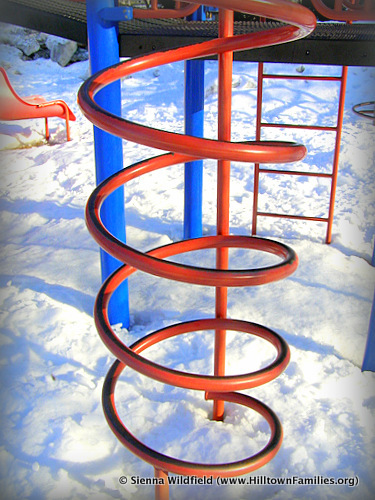 Telescopes to Time Travel., and our column, Berkshire Family Fun: February 2014, for a list of premier educational and cultural highlights in Berkshire County for families. 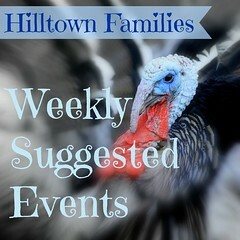 Want to advertise your event, open house, camp, volunteer opportunity or announcement with Hilltown Families. Find out about our enhanced publicity options and about our Summer Camp promotion! Great ways to reach thousands of families living throughout the region while supporting the community development work of Hilltown Families! Winter Celebrations Warm Up Western MA! Show Your Support for Hilltown Families: Vote for Us! Vote for Us by Feb. 12th! As Hilltown Families enters its ninth year, celebrate the past eight with us by voting for Hilltown Families as Best Blog in the Valley Advocate’s Best of the Valley Readers’ Poll for 2014! Deadline to cast your votes is Noon, Feb 12th. Participants must vote for a total of 10 local favorites… how about some of our sponsors (listed in the left-hand column)? Spread the word & share the ❤ love! Hilltown Families believes in creating resilient and sustainable communities by developing and strengthening a sense of place in our children and citizens through community based education and engagement. We work to accomplish this by highlighting the embedded learning that is found everywhere in our communities, making the information accessible to families, and giving parents/educators access to opportunities that supports their children’s interests and education while encouraging community engagement. Founded in late 2005 by long time activist, artist and mother, Sienna Wildfield, the Hiltown Families blog is part of a online grassroots communication network for families living in Western MA, and is incorporated as a non-profit in the state of Massachusetts last year, currently awaiting the approval of 501(c)3 status. Serving thousands of families living throughout the region, Hilltown Families connects, collaborates, and creates community building events, community based educational opportunities, and service learning experiences. Art Supporting Music – The Little Drummer Craft Fair returns to Franklin County Technical School on Saturday, November 23rd, 9am-4pm. Proceeds from the show benefit the FCTS music department and award winning Drumline! This juried craft fair features artists from throughout the Pioneer Valley and beyond, selling unique handcrafted products. Crafts include woodworking, naturals, soaps, creams, salves and lavender, fiber arts and felted creations, jewelry, oil paintings, upholstery, hooked rugs, photography, pet gifts, books, soft toys, quilts & much more! Free admission, plenty of free parking, held indoors, completely ADA accessible. Raffles, refreshments & bake sale courtesy of FCTS student chefs. Find them on Facebook, or at http://www.fcts.org. Community Chanukah Celebration at Congregation B’Nai Israel in Northampton, MA on Sunday, December 1st. Party from 4-6pm and movie screening from 6:15-8pm. All are welcome to CBI’s family friendly, Chanukah celebration which will include a live band and dancing, menorah lighting, homemade latkes and treats, and beer for the adults. The party will be followed by a family friendly movie around 6:15. Please bring your own menorah if you have one! For more information contact rabbijacob@cbinorthampton.org or visit www.facebook.com/events/671743382859860. The LEGO® KidsFest is a giant traveling LEGO expo coming to Hartford, CT at the Connecticut Convention Center from December 6-8. This hands-on, educational, all-ages LEGO extravaganza features millions of LEGO bricks, not to mention lots of construction zones, dozens of life-sized LEGO models and displays, LEGO Friends and LEGO Games, group builds such as Creation Nation, live LEGO Master Builders, and so much more covering three acres of space. There are five identical sessions available. Tickets are $18 for kids and $20 for adults. For more information and to purchase tickets, log on to www.LEGOKidsFest.com. FMC Ice Sports offers a fun and unique learning environment for all ages. Participants in our Step 1 Learn to Skate programs are taught the basics of ice skating without relying on skating aids. This method of teaching increases a skater’s independence on the ice and encourages their learning of balance and maneuverability. Students eventually graduate to our Step 2 and Step 3 programs that focus on the more sport specific skills required in hockey and figure skating. FMC Ice Sports programs can be found at the Smead Arena in Springfield and the Collins Moylan Arena in Greenfield. Class information and registration are available online at www.fmcicesports.com or by calling 1-888-74-SKATE. This holiday season, Hilltown Families is hosting a Virtual Holiday Food Drive in support of food security in our region! Every $1 donated through the Hilltown Families Virtual Holiday Food Drive equals $13 worth of food distributed to families in need (the equivalent of nearly 10 meals!). Please take a moment to participate in the Hilltown Families Virtual Holiday Food Drive, and consider organizing a food drive in your community too. On Saturday, December 7th, from 9:30-11am, Hilltown Families is sponsoring a free Board Game Swap in the community room at the Meekins Library in Williamsburg, MA. A fun way to recycle old board games and to discover new ones. Board games make excellent holiday gifts for friends and family too. Surprise them with a new recycled game. This community swap is free and open to everyone. A Serving of Art: A Hilltown Families’ Family Community Service Night: Engaging your family in community service teaches kids positive values while opening up channels of communication between parent and child, and can increase their participation as future volunteers in their community! Join us for an evening of community service on Friday, December 13th from 4-7pm in Shelburne Falls at The Art Garden, for A Serving of Art: Placemat Making, the first in a series of five free family community service nights! 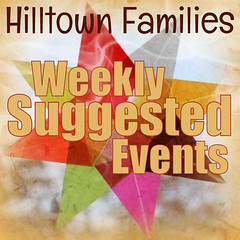 Peruse our list of Suggested Events for November 16th-22nd, 2013 for a comprehensive list of events happening throughout the four counties of Western MA, including: Bulletin Board Announcements, Hilltown Families Events, and the Hilltown Family Variety Show. Also check our weekly column, Learn Local. Play Local. for 27 Community Highlights: Unquomonk Mountain to Ice Glen. Medieval Music to Rock ‘n’ Roll., and our column, Berkshire Family Fun: November 2013, for a list of premier educational and cultural highlights in Berkshire County for families! Kettles Full of Apple Chutney! See Eric Carle Books Come to Life in Amherst, MA! Picture Book Theatre presents: Mister Seahorse and A House for Hermit Crab. Featuring a talented cast of young dancers from Amherst Ballet, Picture Book Theatre features costumes, large puppets, and stick puppets, all in the style of Carle’s vibrant illustrations. The 45-minute performances will take place at the following times: November 16th at 2:00 pm, November 23rd at 2:00 pm, and November 29 – 30th at 2:00 and 3:00 p.m. Tickets are $5 and can be reserved in advance by calling The Eric Carle Museum of Picture Book Art 413-658-1126. Museum admission is not required to see the performance. Visit www.carlemuseum.org for details. On Sunday, November 17 at 4pm David Grover and Grover’s Gang will present a FREE concert for the entire community at Lander-Grinspoon Academy, 257 Prospect St., Northampton. To hear this pied piper is to become a “Grover Groupie.” Grover has been compared to Mr. Rogers, Paul Simon & James Taylor. He has won countless awards – a 2009 winner of Berkshire Eagle’s Best Singer/Songwriter award, plus Emmy and Grammy nods, Parents’ Choice, (NAPPA) and others. Bring the entire family and listen for your self! Lander-Grinspoon Academy, a Jewish day school that welcomes children of families with a wide range of backgrounds, traditions and practices, is accepting applications for the 2014-2015 school year. For more info email GLansky@LGASchechter.org. Cooley Dickinson/Massachusetts General Hospital Lecture Series: Healing Wars’ Invisible Wounds: How Our Community Can Help. More than 45,000 men and women from Massachusetts have served in Iraq and Afghanistan. It’s estimated that more than 450,000 military family members have been affected by the wars. For the health of our community, everyone has a role in keeping our veterans and their families strong. Healing Wars’ Invisible Wounds: How Our Community Can Help, Thursday, Nov. 21, 6-7pm in the Dakin Conference Room at Cooley Dickinson Hospital. Speakers will discuss the challenges and issues facing returning veterans and their families. Free and open to the public, registration required: www.cooley-dickinson.org/classes or 888-554-4234. Academy Hill School, an Independent school in Springfield, serves students (early learners-eighth grade) from 21 communities. The mission is to provide a challenging, safe, caring, respectful and flexible learning community for children who show early signs of exceptional academic ability, creativity, and /or leadership. AHS provides challenging and personalized learning programs where children experience a variety of academic subjects as well as the arts, world languages, and Latin. AHS guides students to develop a lifelong love of learning, strive for excellence, and provides curriculum and instruction that responds to academic, emotional and social interests. For further information contact 413-788-0300, www.academyhill.org. Find out about community events and learning opportunities happening throughout Berkshire County for the month of November. We’ll be adding to this list as the month progresses, so be sure to check back each week. Do you have an event you’d like to include in this list? Email us at hilltownfamilies@gmail.com. Featured Video: “Boo!” by Trout Fishing in America. Keith and Ezra engaged the creative folks at TweedVideo.com to produce this video and they did not disappoint! From the new Trout Fishing in America release, Rubber Baby Buggy Bumpers, and just in time for Halloween! Here’s a recap of news and information posted on Hilltown Families this past week, along with a map for finding out what’s happening this weekend and upcoming week throughout Western MA! Also check our weekly column, Learn Local. Play Local. for 30 Community Highlights: Spotted Salamanders to Orchids. Afro-Cuban Dances to Purim Celebrations., and our bi-weekly column, Berkshire Family Fun for Late February – Early March, 2013, for a list of premier educational and cultural highlights in Berkshire County for families! This week we’re also featuring 15 Purim Events in Western MA, 2013. 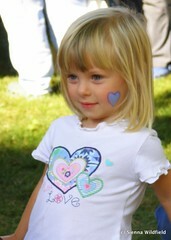 Hindsight Parenting: What is the Antidote to Meanness? Children’s Theater at Williston Northampton performs “Wondrous Tales of Old Japan,” and Hilltown Families has a family 4-pack of tickets to giveaway for the opening day! Snow Farm: The New England Craft Program in Williamsburg, MA is offering half-day Saturday workshops in March for students ages 13+. Try flameworking (glass beads and small sculpture), ceramics, digital printing on alternative surfaces, or stained glass with upcycled materials. A great parent/teen opportunity – or some creative alone time for mom or dad. Our instructors are fun, encouraging, and wildly talented. Our studios in a historic New England farm setting are comfortable and professionally equipped. Treat yourself! www.snowfarm.org/intergenerational-workshops.html. 413-268-3101. info@snowfarm-art.org. Guess what’s growing in Pelham? A Preschool! 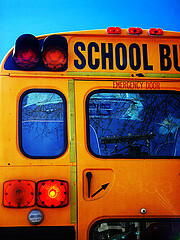 One of the Valley’s pre-eminent elementary schools is growing to include a preschool in the fall of 2013! Pelham Elementary is renowned for its MCAS scores, respected for its staff, and revered for its reputation of being a caring, nurturing place for our youth. Open to residents of all towns, with a number of slots reserved for Pelham residents. Full day program, hours and prices competitive. Options for before and after school care. Make your child’s first experience in the world of education one to grow on. For details call 413-362-1101 or email Principal Lisa Desjarlais at desjarlaisl@arps.org. ADVERTISE YOUR EVENT OR OPEN HOUSE: Reach thousands of families in Western MA while supporting the community development work of Hilltown Families! See your community event, open house, auditions, afterschool class, homeschool program, workshop, school, wellness program or business featured here in the bulletin board section of our list of Weekly Suggested Events and eNewsletter, reaching thousands of families living throughout the four counties of Western MA! Find out more about our enhanced publicity packages and options and how we can help with your online marketing by emailing us at hilltownfamilies@gmail.com. MARKET YOUR SUMMER CAMP: In an effort to connect families with summer camps & programs in the region, Hilltown Families is offering camps and programs a chance to partner with us in their online marketing with a special enhanced publicity offer. On Sunday, March 24th, Hilltown Families will be featuring camps in the region on Hilltown Families with a special post titled: 2013 Summer Camps and Programs in Western MA. Find out more about our marketing package and early bird discounts HERE. Tune in every Saturday morning from 9-10am to 103.3FM WXOJ (Northampton, MA) for an hour-long, commercial free, family program. Encores air Sunday mornings from 7-8am. Listen anytime to our podcast. See our list of archived episodes below. some of the music we get back in the states!” – Laura W.
Want to join us as a Guest DJ? Send your query to swildfield@hilltownfamilies.org. 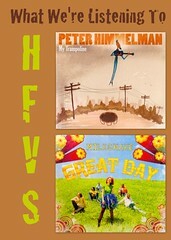 CD review copies and press kits may be sent to: HFVS, P.O. Box 98, West Chesterfield, MA 01084. He runs—five to ten miles per day with his cross country team. He jumps-before and after cross country practice-on a super charged pogo stick. He flips-on a trampoline before sunrise and way after sunset. He skates, scats skedaddles—up and down the street and around the block on a skate board, on a long board, on a bike, on two feet. He never stops; not even to fuel all that movement with food or drink. It’s a typical summer scenario. Gannan, the quintessential boy, wakes up at the crack of dawn to soak up every single second of play time that he can wring out of a sweltering sunny day. Breakfast, if eaten at all, is usually a piece of fruit or a granola bar that he can shove down his throat as he’s whipping open the backdoor (only to throw the wrapper on the lawn as the back gate slams.) At lunch time, I scream my voice hoarse trying to locate my Prince-of-Playtime. He comes reluctantly, shoulders slumped, smelling of sweat and dirt and grass, but will stubbornly stay out on the front porch until the food is absolutely ready–not wanting to let one second of fresh air miss his awaiting nose. Somehow it is as if all that playing has caused his legs to forget how to bend him to a seated position. So he stands…and bounces…up and down… and wolfs a half a sandwich in one bite. He runs toward the front door. I yell “Halt” and hand him an 8 ounce glass of milk. Foot tapping, he drinks half and then those tapping feet bolt him out through the portal-of-play. Dinner is much the same. Even though I require that he must spend at least ten minutes at the family dinner table, he still will eat a half of a hot dog in a great big chomp and shovel a handful of fries into his mouth so that they stick out like the whiskers of the Energizer Bunny. Feigning a stomach ache he says he can eat no more and then bounces his right leg up and down, keeping the engine revving, looking at the clock, sighing with head in hand, blowing his long bangs out of his eyes, doing whatever it is so that he can get away from that table and back out to paradise. As he bolts once more, I again demand he drink “at least SOMETHING!” He dramatically takes in a gulp of milk and dashes off to greener pastures with his mother smiling after him, marveling at his energy. Okay, so to some of you this description of a boy and his love for summer will conjure some smiles and make you wistful for the days of Andy and Opie walking to the “crick” with their fishing poles slung over their shoulders. However, after what happened this week, the description makes me feel ashamed. Yes. That’s right. I said ashamed. Not sunny. Not whistly. Not reminiscent of days gone by….nope. Ashamed. Here’s why. Last Saturday, I awoke to a very ghostly looking boy standing at the foot of my bed asking me where the thermometer was. His arms were holding his comforter tightly around him, pathetically and weakly whispering, “I don’t think I feel good.” Since this is not a phrase that typically is spoken by Gannan because he knows it is one that would seal his fate INSIDE for the day, I immediately pop the thermometer in his mouth. It reads 103 degrees, and so I begin all the “mom” things that we do when we have a sick kid. Get him set up on the couch, ply him with Advil, coo and coddle. I suggest to him that he sip a little ginger ale and I wait for the protest. But to my surprise, he doesn’t. Instead he asks for water, and I give him water; glass after glass after glass. It seems as if he is a bottomless pit and can’t get enough H2O. That’s not the only thing that is unusual. He practically begs for food. I question my husband….”What’s that saying? Feed a cold-starve a fever. Or is it–starve a cold and feed a fever?” No matter. He wanted food; an egg and cheese sandwich to be exact, and then a bowl of cereal, and then a strawberry milkshake, and then another. All eaten in the span of two hours. He was ravenous. He was severely parched, very odd behavior for a sick kid. Or was it? Check out Secret Agent 23 Skidoo on Sunday at the Iron Horse with opening act, Mister G in Northampton. Find out how to win a copy of Mister G’s CD, Pizza For Breakfast! Stargazing at Notchview in Windsor, MA at 9pm. Nebulae, constellations and planets are on view when Arunah Hill Natural Science Center sets up their scopes to view the heavens. Dress for a cool evening. Free to all. Call The Trustees of Reservations at 413.532.1631 x13 for more information. Angel Park (free) Summer Music Series continues in Williamsburg, MA. Outdoor concert begins at 5pm. Rain moves concert inside to grange. More info here. At 4pm the gates open to the Middlefield Fair in Middlefield, MA. Children 12 & under are free. The Nields will be performing a family set at the Heath Fair in Heath, MA at 1:00pm. This year, Tanglewood is offering a concert just for families so they can share together in the joys of music. The Family Concert will take place in Ozawa Hall on Saturday, August 22, at 2:30pm. The concert program and guests will be announced at a later date. Tickets are $10, and children under 18 are free. Justin Roberts & the Not Ready for Naptime Trio will be at the Iron Horse on Sunday, August 23rd at 2pm. 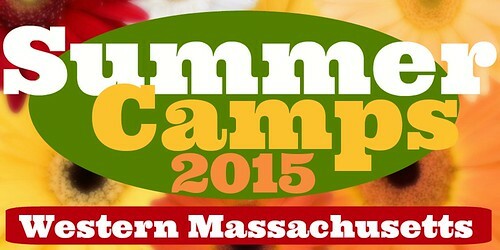 River Camp in West Chesterfield, MA begins this Monday, August 17th and runs through the 20th. Sponsored by Hilltown Wilderness Adventures. ArtStar: A Creative Arts Lounge is planning on reopening in the hilltowns and is looking to connect with local homeschooling famlies. More info here. Campus Home Exchange can help families arrange exchange of home with visitors to area college campus. A great alternative to traditional vacation planning. More info here. Hilltown CDC seeks part time Commonwealth Corps volunteers for a one-year stipend interships. More info here. Volunteer Opportunity with the Wild & Scenic program on the Westfield River. More info here. 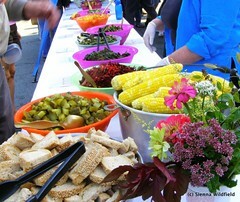 August 15-September 12 is the Eat Local America! Campaign. 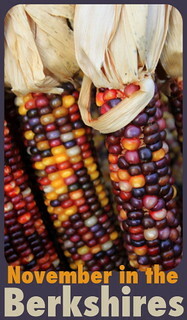 Pledge to eat meals from primarily local products. Be entered in daily drawing at the River Valley CoOp in Northampton, MA for fabulous local food prizes! Tune in to the Hilltown Family Variety Show on Saturdays from 9-10am on Valley Free Radio (VFR), WXOJ 103.3FM (Northampton, MA), or listen via streaming audio at www.ValleyFreeRadio.org. 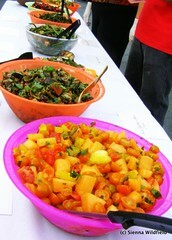 8:30am-12:30pm – Ashfield Farmer’s Market. 10am-2pm – KITCHEN SKILLS: Join Pat Shearer and Alison Wahlstrom in the Northfield Trinitatiarian Church kitchen to can some blueberry jam and zucchini relish. Then go home with the skill and confidence to can foods in your own kitchen. Program is suitable for ages 12 and over. Pre-register by calling 800-859-2960. 10am-5pm – MUSEUM ADVENTURES: Age of Iron weekend at Hancock Shaker Village in Pittsfield, MA. 11am & 1pm – THEATER: How the Frog Learned to Leap, presented by Castle Hill Theater Co. at the Berkshire Museum in Pittsfield, MA. 3pm – MUSIC FESTIVAL: Music outside, museum adventures inside at MASS MoCA this weekend in North Adams, MA. 8pm – THEATER: Double Edge Theatre presents The Arabian Nights in Ashfield, MA. Special ticket prices for Hilltown families.